Telecom Consulting Group, Inc. - Services - Your specialists in telecommunications cost minimization and management. Telecom Consulting Group will perform a thorough audit of your internal telephone department to ensure maximum profitability. Recommendations will be made, concerning but not limited to local and long distance tariff costs, PBX routing efficiency and engineering, and any potential carrier over billing and unused services. Cost analysis will go back as far as warranted and will cover all areas within your telecom venue. A detailed implementation plan will be presented outlining recommended changes. 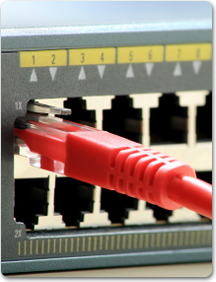 In addition to performing analysis services, Telecom Consulting Group can manage all your telecommunications projects. Our account managers have the background, training, and expertise to successfully plan and implement all of your telecommunications needs. We will handle the ongoing efforts of ensuring accuracy of vendor invoices, contracts, and service implementation. Let us worry about the daily details and we will keep you informed of the project status through regularly scheduled meetings and timely communications. Our services also include contract negotiations, service optimization, inventory tracking and monthly invoice analysis all accessible by you through our website. TCG can assist you with every step of a new telecommunications systems purchase and installation from the blue print phase to the finished product. We will develop a needs assessment, scope of work, and project requirements for completing the job. We will coordinate the many vendors in order to effectively manage your project. Our experience in bidding, contract negotiation, and vendor selection will ensure the outcome meets your initial and long term needs. We also negotiate contracts for cost savings. TCG will coordinate all vendors with client staff to disconnect and install services as agreed upon to ensure the completion of the project in a timely manner. We follow the process all the way to billing. Our telecom expense management process allows you to focus on your business while we keep a watch over your telecom expenses. TCG's billing team will review all your vendor invoices on a monthly basis to ensure accuracy. We will secure corrections of all billing errors and secure credits on your behalf. Our database and reporting system allows you to view your telecom inventory and complete billing data with ease. Wireless is a fast growing telecom expense issue for most companies. We can help your company manage the assets and reduce the costs associated with this rapidly growing telecom area. 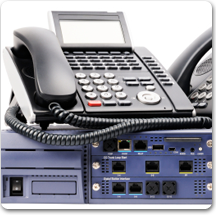 Voice and data convergence is important to optimizing any telecommunications network. Telecom Consulting Group has the experience to facilitate these changes in an operationally effective and financially beneficial manner.